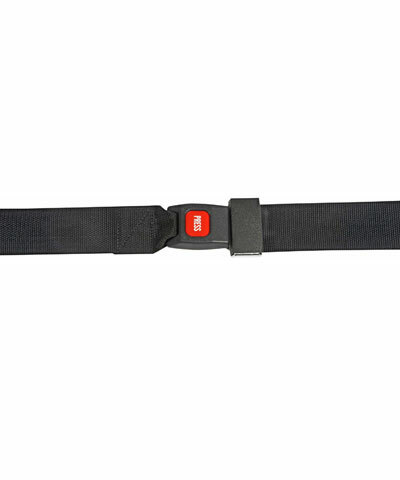 This accessory is a two piece positioning belt, 1" webbing, with an auto style buckle closure. Tri-Glides are woven on the straps for tension adjustability. At the ends of the straps are easy to install belt anchors. This accesory is most often selected to be positioned at a 45 degree angle at the pelvis to maintain a neutral pelvic position though it can be utilized for other applications (I.E.- 90 degree lapbelt, etc. ).